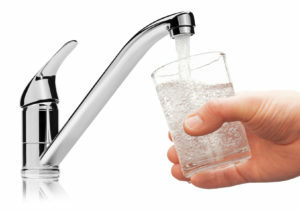 Test accurately for know if your water is safe to use. Introducing rapid and accurate water contamination testing using our smartphone kit. Test your home, hot tub, pool, RV, cottage or other location in minutes. Keeping your well, hot tub, pool, RV or home clear of infectious microbial water contaminants is an on-going job. We’ve created an end to end solution that allows you to keep your family safe, save money, and greatly simplify on-going microbial water testing for range of disease causing bacteria. According to the EPA, 60% of hot tubs have microbial contaminants above acceptable limits. Don’t just over chlorinate you hot tub. Exact blue can directly test for bacteria and chlorine levels and advise on how to treat your hot tub. Are you sure your pool is not going to make you or your children sick? Exact blue can directly test for bacteria and chlorine levels and recommend corrective action. Private wells are not covered by EPA regulations. Well water is susceptible to Seepage through landfaills, failed spectic tanks, underground storage tank infection, fertilizers and peticides, run off and more. Compromised plumbing can become a nutrient rich environment for bacteria. Check all the outlets in your house to know if any one might be a cause for concern. Do you have a weakened immune systems due to disease, medical treatments or genetic conditions? Check your water sources quickly to make sure you’re not exposed to microbial contamination unwittingly. Here’s what you need in your emergency hurricane kit https://t.co/cuY9INmfPW? It’s not always easy to tell if your water is compromised or not. Can you tell before it’s too late? Test your water from your home in minutes and not days using a lab. Simple three step process to get results and treatment direction directly on your phone. Exact Blue is super easy to use. Connect to your phone with bluetooth. Start testing in minutes. Order now and be one of the first to get your hands on this technology. Exact Blue has created a solution that brings together nano particles, sensing technology, and software pattern recognition to understand what's in your water. The patented nanoparticles in our solution directly attach to target microbial surfaces to create a reaction even at extremely low concentration levels. Our technology leap frogs what's available in the market today and brings high accuracy to your home to keep you and your family safe.